STM is a family of lightweight sectioned masts for elevating antennas (up to 5 kg) 3-8 meters above the ground. 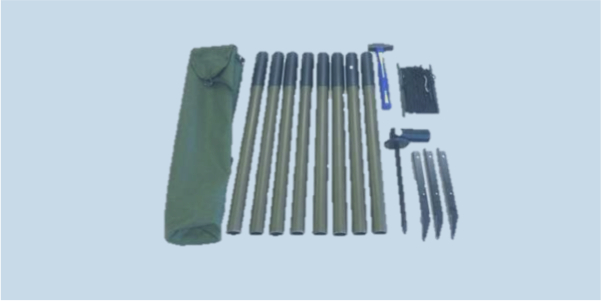 Each kit includes guys, stakes, tools & bag. STM-3/5-60, STM-4.8/8-60, STM-7/6-123 and STM-8/8-100 form the family of lightweight sectioned tubular antenna masts intended for use with lightweight antennas. Mast sections are made of fiberglass composite material with painted aluminium joints. All ground mounting accessories are included in the strong canvas carrying bag.